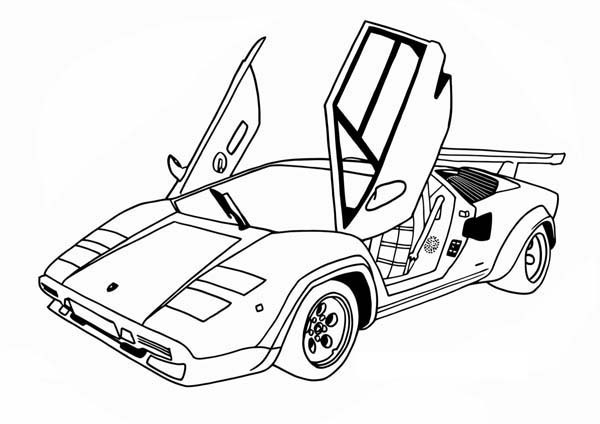 This is a video tutorial in which you are learning about how to draw a car with wings. This is easy step by and beginners level guide. We have drawn that racing car some days back and we promised you that we will take that drawing to a next level, and here we are keeping up our promises with an epic and insane drawing on our website. Guess, what it is? Yeah, we are about to a car with wings in an easy and step by step process for beginners and kids. This video will provide you an idea of drawing many images involving some wings. As we will not draw some airplane wings like car but most of the technique of drawing a car is same as it was in a previous lecture. We will only guide you how to do it, and the rest is your headache to learn and watch the video tutorial again and again to literally memorize its steps. We will, at first, draw a car drawing then moving towards the new technique we are going to deliver to you. Sit back and revise your car drawing tutorial and then move close to your laptops or pc’s and watch carefully how artist is making his way to draw those beautiful, delicate wings on which this fantasy car will fly high in the sky. Contrary to a fantasy, our real world engineers are doing their best to turn this fantasy and fictional drawing structure and this splendid dream seen by many ambitious people a physical structure and they have succeeded enough to tell us that the day is near when cars will really fly over our heads and everyone will have his own air car or a supercar. But unfortunately, scientists have no plan to install such wings we are going to draw, so our drawing would still be a uniwue one, so draw t, it has a future and latitude too. If you have a good grip on this drawing, comment us and watch our next video and do not forget to send us you suggestions relating to new idea and brand new drawings.